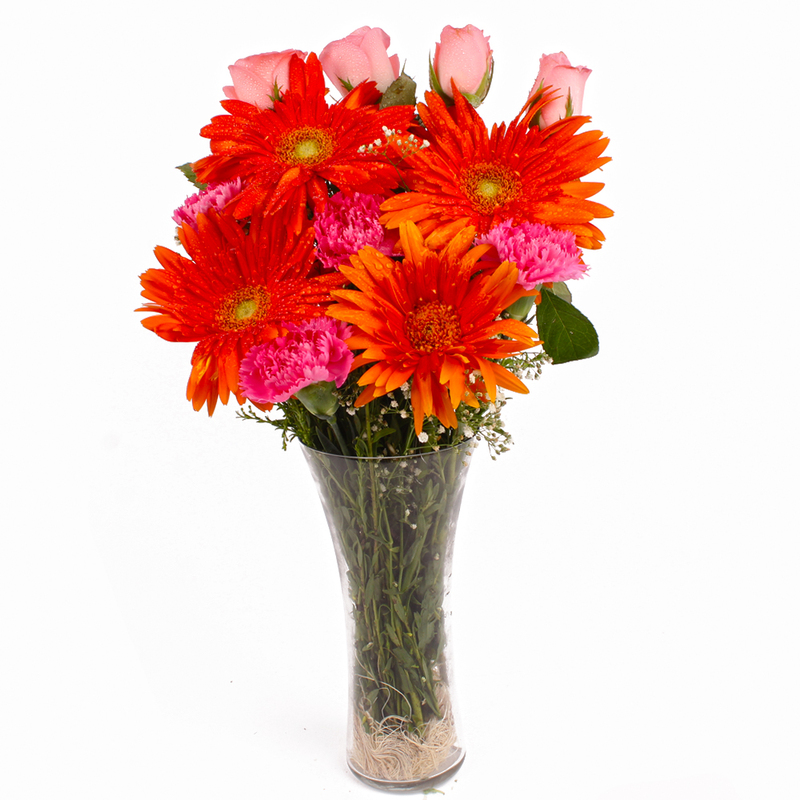 Product Consist : Glass Vase of twelve seasonal flowers like Pink Roses, Pink Carnations and Orange Gerberas with green fillers. 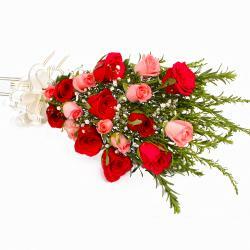 This is one of the most special and beautiful gift floral arrangement that you will ever find for special occasions. 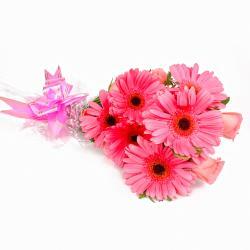 This pack contains a bunch of pink roses, pink carnations and orange gerberas that are sure to warm the cockles of any recipient with aplomb. This bunch is also accompanied by an elegant and classy glass vase that will accentuate it to perfection on any living room mantelpiece or table. 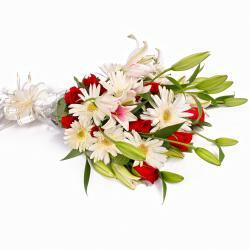 This pack is a good bet when it comes to surprising near and dear ones on special occasions like Birthday, Anniversary, Corporate Gifting, Dhanteras, Eid-Al-Adha, Independence Day and so on. 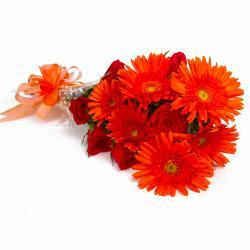 Product contains : Glass Vase of 12 Seasonal Flowers like Pink Roses, Pink Carnations and Orange Gerberas with green fillers.